Adeptus Mechanicus, Imperial Knights, Astra Militarum and Thousand Sons: One Imperial Knight painted! As the title says, I've finally painted one Imperial Knight! The Knights of the Draconis House, or rather the Draconis Regiment have arrived! My Imperial Knight! I really like the Black and Gold scheme. YAY! And the heraldry of the Draconian Knights is a......smilely face!!!! Yeah, the Draconians are known for their sense of humor. 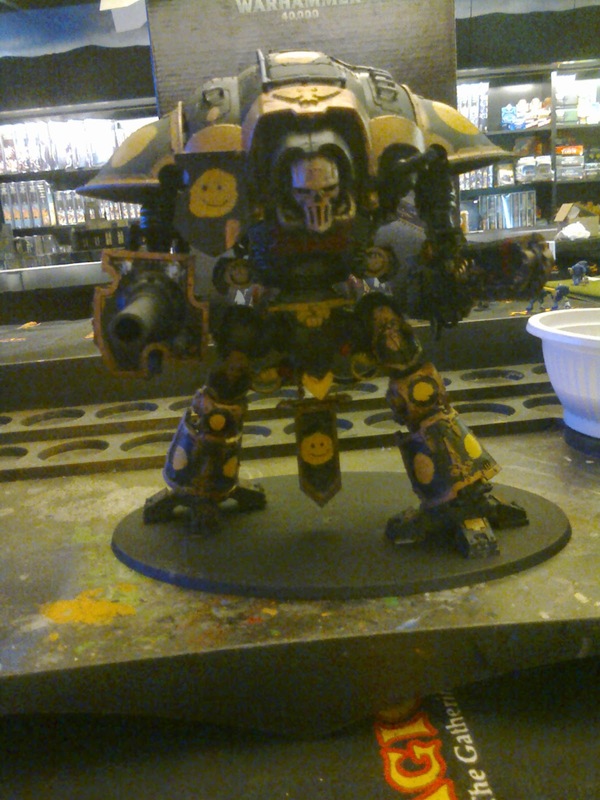 And in addition to my Imperial Knights I am now the proud owner of a Vendetta! YAY! I finally got my hands on a Vendetta! WOOHOO! Now my Imperial Knights have anti-air support! The Vendettas are there to shore up their weakness to air units. 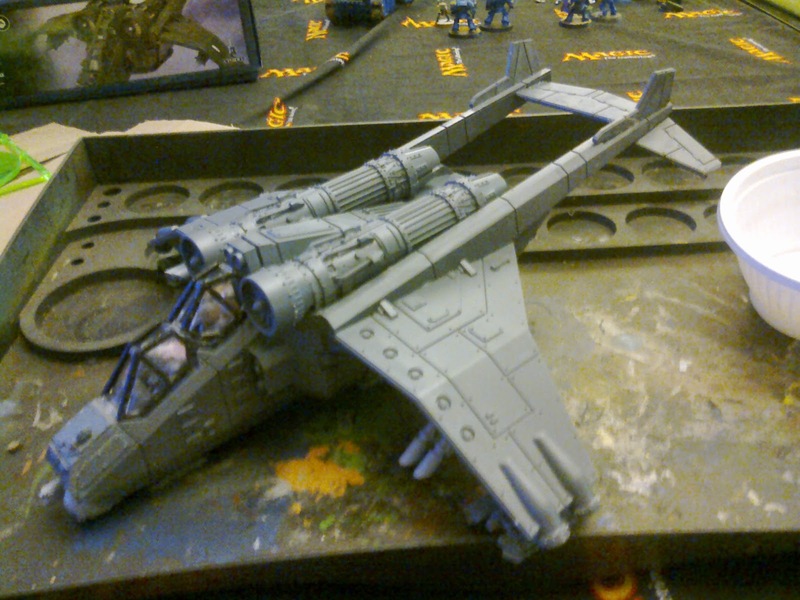 I'm planning on getting a 2nd Vendetta in future, but for the next couple of months I'll be getting my Stormsword, 2 Veteran troops and 2 Leman Russ Executioner tanks to finish my army. Phew. As for the Tau......well, I doubt I'll be building their army for a very long time. As I said, I'm a huge fan of the Imperial Guard and the Imperial Knights, and the Tau aren't exactly to my liking. I do like them more than the other Xenos but I'm an Emperor-fearing soldier of the Imperium. For the Emperor! Draconian Armored Dragons or Draconian Samurai?